Michael Cohen, former lawyer for President Trump, exits the courthouse in New York City in May. President Trump denied a CNN report that he knew in advance that his son Donald Trump Jr. and other campaign officials planned to meet with a group of Russians in June 2016 who said they had dirt on 2016 Democratic presidential nominee Hillary Clinton. In a tweet Friday morning, Trump wrote "I did NOT know of the meeting with my son, Don Jr."
CNN reported Thursday that former Trump attorney Michael Cohen claims Trump knew in advance of the June 2016 meeting in Trump Tower, and is willing to share that information with Justice Department special counsel Robert Mueller, who is investigating Russian interference in the 2016 election. "Cohen alleges that he was present, along with several others, when Trump was informed of the Russians' offer by Trump Jr.," CNN reported. "By Cohen's account, Trump approved going ahead with the meeting with the Russians, according to sources." Rudolph Giuliani, one of the president's private attorneys with regard to the Russia investigation, told NPR on Thursday that the CNN report was not true and labeled Cohen the "liar in chief." Cohen is "trying to make a deal, no doubt about it," Giuliani also said. 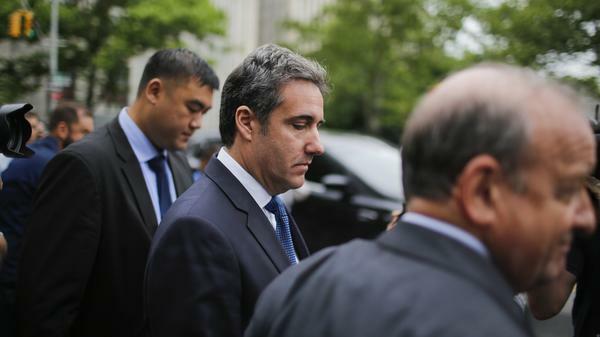 Cohen is facing federal charges related to his business practices in New York City, but a prolonged dispute over evidence in the case means he has not yet been presented with a formal list of charges. Cohen has no audio recordings or other evidence to corroborate his claim of Trump's advance knowledge of the meeting, CNN also reported. But if Mueller could prove Trump was aware of it or cast doubt on denials by Trump and Trump Jr., it would be a dramatic addition to Mueller's investigation into Russian election interference in the 2016 presidential race and possible collusion by the Trump campaign. Cohen is being represented by attorney Lanny Davis, a onetime counsel to President Bill Clinton — a fact to which Trump drew attention on Friday. President Trump and his son have denied that Trump knew in advance of the June 2016 Trump Tower meeting. Donald Trump Jr.'s attorney Alan Futerfas issued a statement Thursday saying Trump Jr. "has been professional and responsible throughout the Mueller and Congressional investigations. We are very confident of the accuracy and reliability of the information that has been provided by Mr. Trump, Jr., and on his behalf." Trump Jr. testified before the Senate Judiciary Committee about the meeting, which was also attended by then-Trump campaign chairman Paul Manafort and Trump son-in-law Jared Kushner. Trump Jr. told Senate investigators his father "wasn't aware of it." Trump Jr. did, however, make phone calls to someone with a blocked number at the time he was setting up the meeting. The older Trump used a blocked number, according to the accounts of other witnesses. Trump Jr. told Congress he didn't remember with whom he spoke. If Mueller's investigators or others could establish that Trump Jr. had been speaking with his father at the time he was organizing the Trump Tower meeting with the Russian delegation, that might bolster whatever statement Cohen was willing to make to the Justice Department. Democrats said the Cohen news, if true, means the Judiciary Committee needs to call Trump Jr. back for more questions. Sen. Dianne Feinstein, D-Calif., the senior Democrat on the panel, said if the reports are accurate, "it would suggest that Donald Trump Jr., may have misled Judiciary Committee staff about the meeting when he was interviewed last fall." 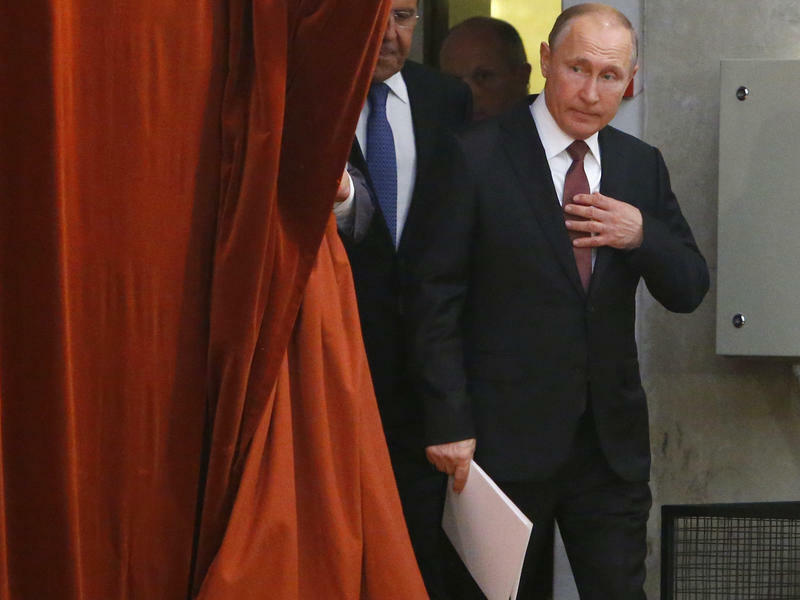 President Trump wants to invite Russian President Vladimir Putin for a visit to Washington this autumn, the White House said on Thursday. 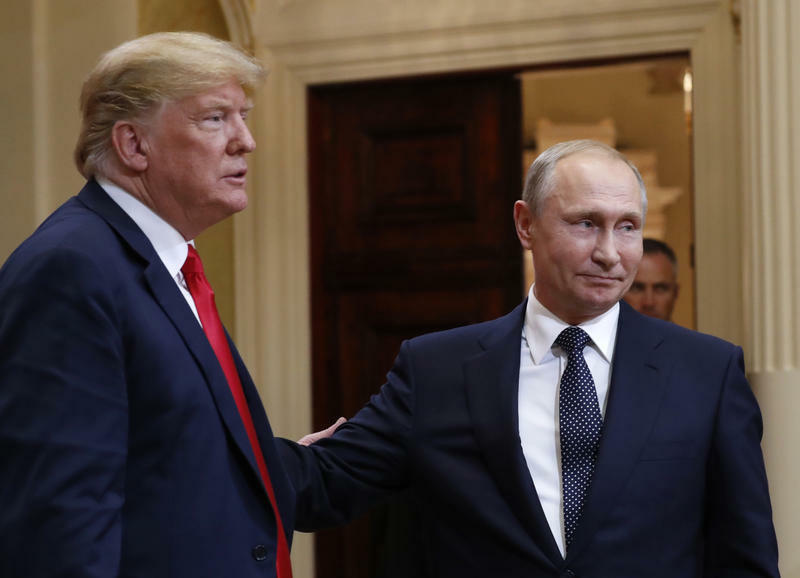 Press secretary Sarah Sanders said that Trump and Putin had agreed at their summit on Monday in Finland that their security staffs would have an "ongoing working-level dialogue" and as part of that, Trump told national security adviser John Bolton to invite Putin to the United States.